Translated from Korean by Sean Kim. Edited by Denile Doyle. The Great Wall of China was a result of the struggle for survival between northern nomadic races like the Huns and agricultural ones like the Han Chinese. The 6,352-kilometer wall was built over 14-17 centuries, from the Qin to the Ming dynasty. It is ironic that the wall, the only man-made structure visible from space, was unable to serve as the last line of China’s national defense. The Qin dynasty collapsed just 15 years after a rebellion. The Ming dynasty was invaded by nomads from the north, who got through a badly defended area, and suffered through pillaging before meeting the same fate as the Qin and being destroyed. The rich and fertile lands of the Han Chinese were good for the nomads to plunder. To the nomads who desperately attacked China in order to survive, the Great Wall never truly became a perfect barrier. On Nov. 9, 1989, residents of East Germany flooded over the 164-kilometer-long, 3-to-4-meter-high Berlin Wall into West Berlin. This was a prelude, an event that triggered the domino effect that led to the collapse of Communism in Eastern Europe. It was a realization of John F. Kennedy’s prediction: “And all the world knows that no successful system builds a wall to keep its people in and freedom out — and the wall of shame dividing Berlin is a symbol of Communist failure,” in his State of the Union address in January 1963. In her song “Donde Voy,” Mexican-American singer Tish Hinojosa sings, “Daybreak finds me running under a sky that’s beginning to color. Sun, please don’t expose me to the Immigration Force, to the force of the INS. Where I go, where I go, hope is my destination. I am alone, I am alone. Through the desert, a fugitive, I go.” These lines embody the desperate joys and sorrows of the life of an illegal immigrant attempting to cross the U.S.-Mexico border. A few days ago, American president Donald Trump declared a state of national emergency in order to obtain a budget of $8 billion (roughly $9 trillion won) for the border wall. Though Trump has said that the wall is necessary to keep out drugs and criminals, his real goal is to stop illegal immigrants. 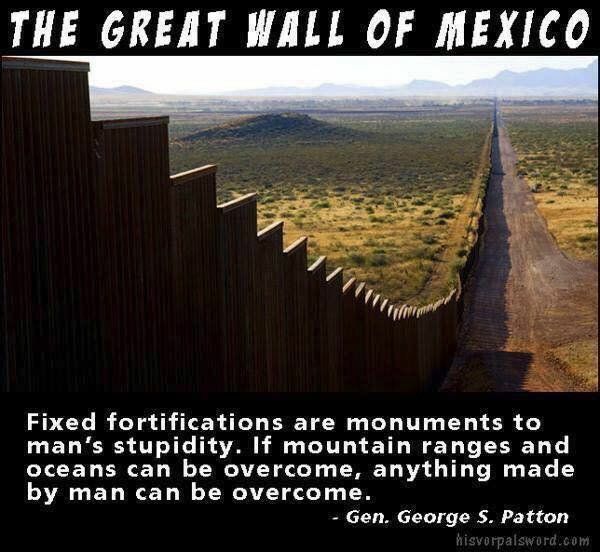 Contrary to his desires though, the border wall will become useless, because the Mexicans’ desire to live a better life is stronger than any wall. Haven’t the Great Wall of China and the Berlin Wall already confirmed that no matter how strong a wall may be, it cannot stop the powerful wills of those who wish to climb over it and those who wish to break it down?